Pen’s hefty size allows greater control as it produces a thick, vibrant line on paper. 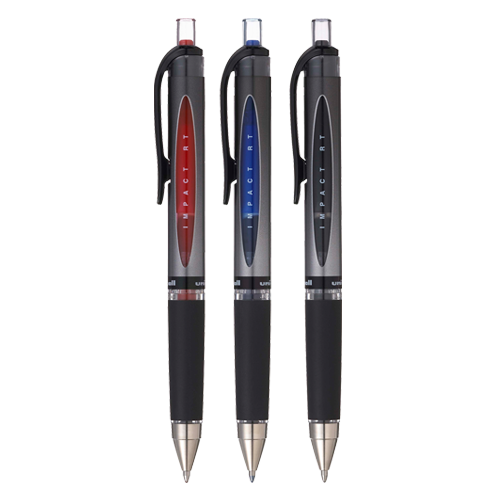 Innovative auto-retractable tip withdraws into the barrel as you clip the pen to any surface. Ink is acid free, fade and water-resistant. Soft rubber grip for comfort and control. Gel ink combines the durability of a ballpoint with the smooth nature of a roller-tipped instrument. Smoother writing and quicker drying than conventional ink.